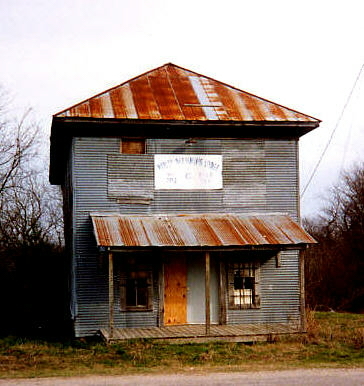 The Wiley Manning Masonic Lodge No. 702 was organized at Pike on December 11, 1890. The first officers were G. M. Howell, W. M.; J. W. Hardy, S. D.; B. F. Miller, J. D.; H. J. Bradley, S. W.; Y. T. Manning, J. W.; E. E. McGowan, Treasurer; W. T. Norman, Secretary; T. C. Fry, Tiler. The charter members included the above named and Z. T. Williams, R. H. Williams, A. A. Edwards, V. B. Newman, W. M. Roach, A. J. Byars, J. M. Beasley and J. M. Jeffcoats. Not long after the organization of the Masonic Lodge, more room was needed for the school - the first school having been built about 1887. An agreement was reached between trustees of the school and the officials of the Masonic Lodge to build a large two story frame building with three class rooms, an assembly hall and stage downstairs, a large classroom on the second floor and a large room to be used as the meeting place for the lodge. C. L. McGowan and A. H. Sharp were school trustees. This building was destroyed by fire in 1898, while E. B. Cloninger was principal of the school.